Yes, we can organize this seminar at your college/company too! 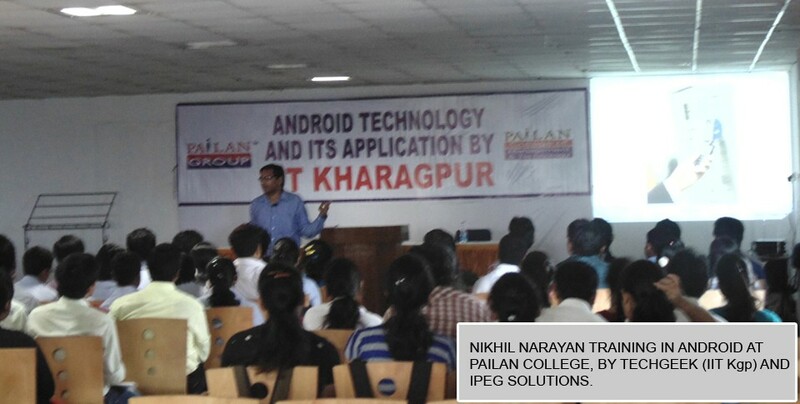 Topic: Android Game Application Development. Summary: This one day session will help the students understand the Android Application Development and make them capable of creating a variety of Business Apps as well as Android Games. Duration: 6 Hours, 2 Sessions of 3 hours each. Activities, Widgets, Manifest, Permissions, Sample Apps. Refresh Handler, Game Engine, Game Controls, Full Game. For each stage, sample code will be uploaded for Free download by the students. The students will be provided password to a download section on our website from where they can retrieve the code after the seminar. 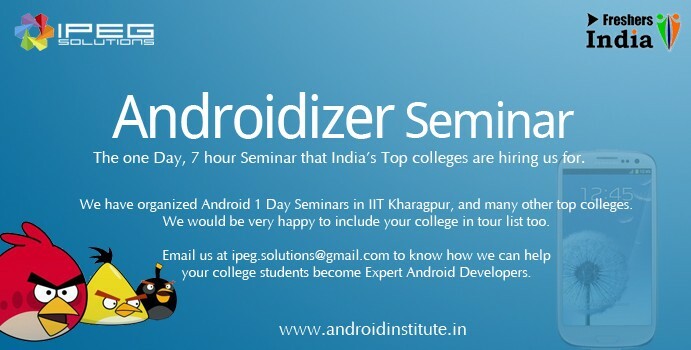 Mr. Nikhil Narayan is one of the first Android developers who started the first Android training in India back in 2009. He is an acclaimed educator and is popular as the best IT trainer in Eastern India. He has been mentioned in several leading Newspapers, and teaches regularly as a corporate trainer at many software companies. An outstanding and inspiring speaker, he has given presentations in IIM-Ahmedabad, IIT Kharagpur etc. Certificates for attending the Workshop will be provided to each student. Additionally, CDs containing reference materials, installation files and sample projects will also be provided to each student. The costs of this workshop is very economical, for about 100 students, it works out at Rs.500/- per student only.